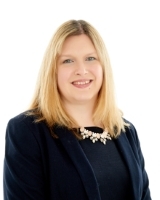 SME Solicitors are pleased to confirm we are now offering a fixed fee meeting with Louise Adams, an experienced corporate and commercial solicitor, for up to 90 minutes for clients who require initial advice on a business legal issue for £200 plus VAT. * Please note we can only review legal documents within the fixed fee scheme where there is sufficient time for us to be able to do so – we can clarify this prior to the appointment. As well as meeting with an experienced solicitor, for up to 90 minutes to discuss your business legal issue, you will also receive a letter summarising the legal advice given. If you require further assistance from us, we will also in most cases be able to provide a fee quote for any further work required. This meeting is ideal for those who require initial legal advice, or assistance on negotiating a deal or transaction, but who do not want their legal costs to escalate.